First, it’s restyled so it looks more sleek and modern outside. But the wheelbase has been stretched to 120.9 inches, up 2 from the previous model that debuted 10 years ago. That stretch creates a roomy interior and creates 10 cubic feet of additional cargo space. So now the 3-row seat Enclave easily carries six adults and could scrunch in a seventh person (hopefully a small one) in a pinch. We carried six and were perfectly comfortable. Behind the third row seat is 23.6 cubic feet of cargo space, so you won’t have to power down the third row seats, which is how they are lowered, for groceries or a golf bag. If you need long cargo-hauling room though, both the third row bench and second row captain’s chairs fold flat and create nearly 100 cubic feet of cargo capacity. That’s the cargo-friendly stats for Enclave, but oh my, this looks and feels like a fine luxury crossover. The interior is extremely quiet as even more sound deadening material has been used in this latest version, including laminated glass. But there’s an overall smoothness of character and performance that Enclave delivers that is rare in this size vehicle. Ride is absolutely scrumptious thanks to a new five-link independent rear suspension. Ride was good before, but this takes it to a new level, while also helping handling and controling body roll. But you’d expect stellar ride from a Buick, right? 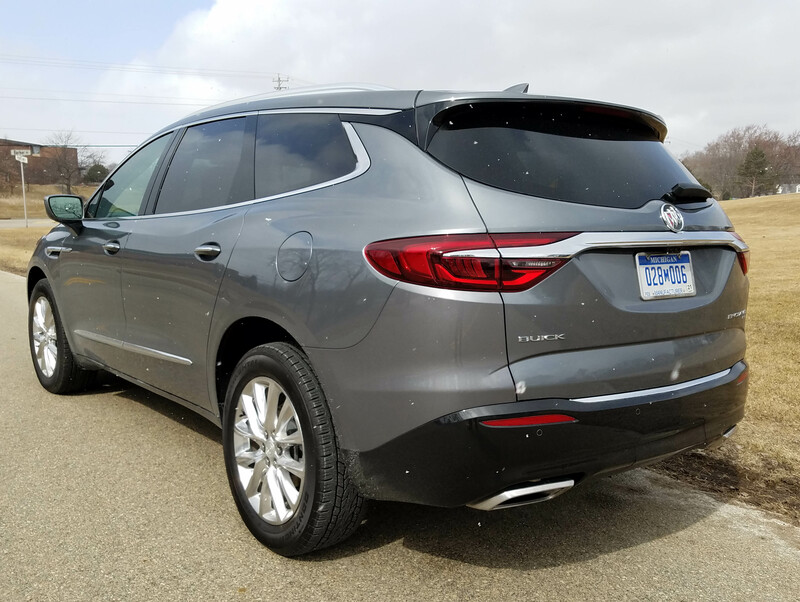 OK, but horsepower has been improved too with a revamped 3.6-liter V6 that is strong, yet quiet and well suited to the Enclave’s slick 9-speed automatic transmission. Power comes on easily and steadily while shifts are barely noticed. The V6 makes 305 horsepower and a solid 260 ft.-lbs. of torque, so pickup is strong from the get-go. I drove this about 60% of the time on the freeway this week and what a delight it was. Easy to handle and keep in the lanes, despite its size and despite strong winds. Handling in town was good too. The Enclave turns in easily to corners and was simple to park. There was no body lean to speak of in high-speed turns either, what a nice blend of power, ride and handling. Then there’s the all-wheel-drive system that helps in sloppy weather. I didn’t have to contend with that, but good to know AWD is there. For the record, the base model is front-drive, but AWD is available on the three higher trim levels, Essence, Premium (the test vehicle) and Avenir. For the record, this Premium model was equipped similarly to the top-level Avenir, adding 20-inch aluminum wheels ($1,400), dual moonroofs ($1,400), a navigation system ($495), and rearview surround-view camera/mirror ($825). Trailering equipment also added $650 to the base price of $51,290, including delivery. All told, the satin steel metallic (sparkly dark gray) test vehicle listed at $56,455 and that paint job added $395. 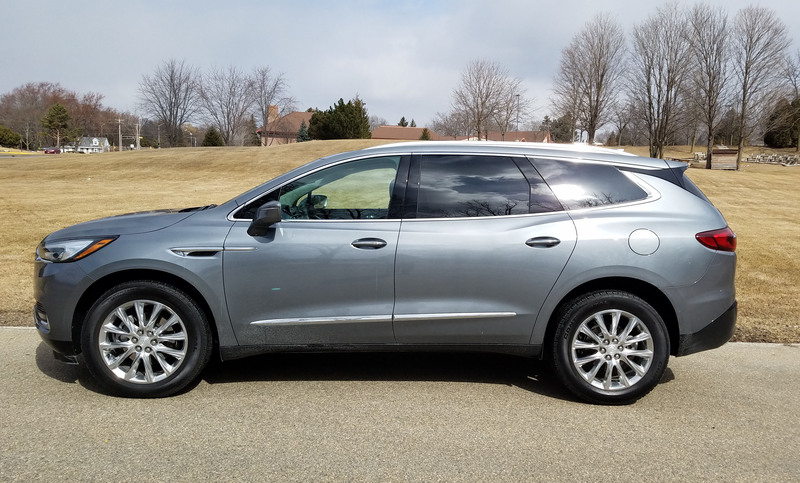 That’s certainly in the luxury level league, but on par with the likes of Mazda’s spiffy CX-9 and a little less than Acura’s MDX an Infiniti’s QX60, and much less than Audi’s Q7 or Volvo’s XC90. But the Enclave is worthy of being compared with all of the above. I say that based on its performance, but its inner beauty is a thing to appreciate and put it into this premier league. 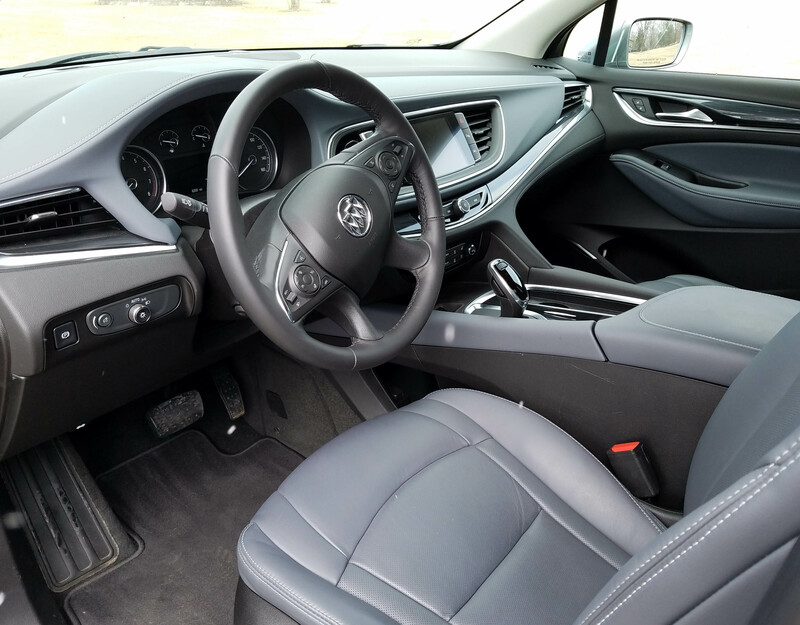 The test vehicle had a gray leather interior with a dark gray over light gray leather dash that also featured wood trim. Stitching is a lighter gray on the seats and dash and there’s chrome trim on the dash and doors too. I’d prefer a matte chrome as this shinier stuff can be too reflective on sunny days. And yes, we do have a few of those in Wisconsin. A simple easy-to use dash is an advantage Enclave has over some of the luxury utes and crossovers. There’s an 8-inch touchscreen that was easy to use and figure out. Many luxury makes fail right there to create an infotainment unit that can easily be used while driving. Buick also includes a Bose sound system that sounds great. 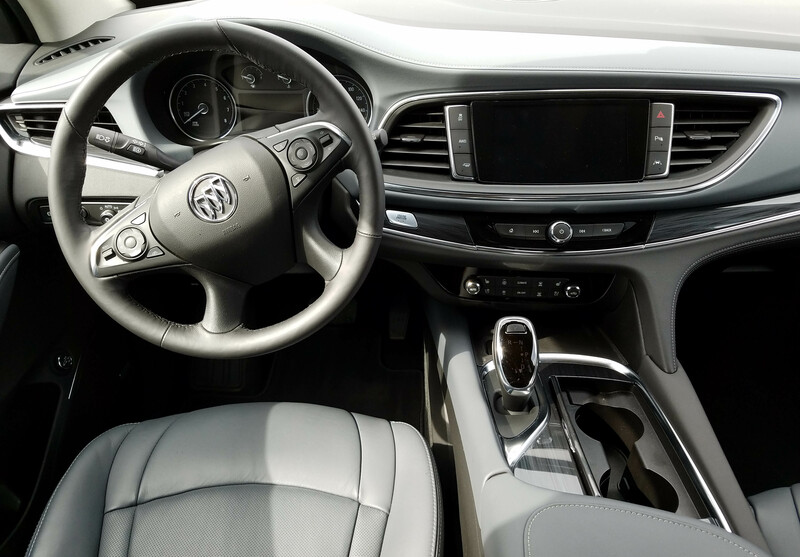 Even the push-button start is visible from behind the Buick’s power tilt/telescope steering wheel. Most start buttons are hidden behind the wheel’s thick hub. Other pluses include three-level heated and cooled front seats and heated second row seats. Enclave’s steering wheel also is heated and warms quickly so I could shed gloves, even on a couple mornings when the temperature was in the teens. Seating was near perfect too. 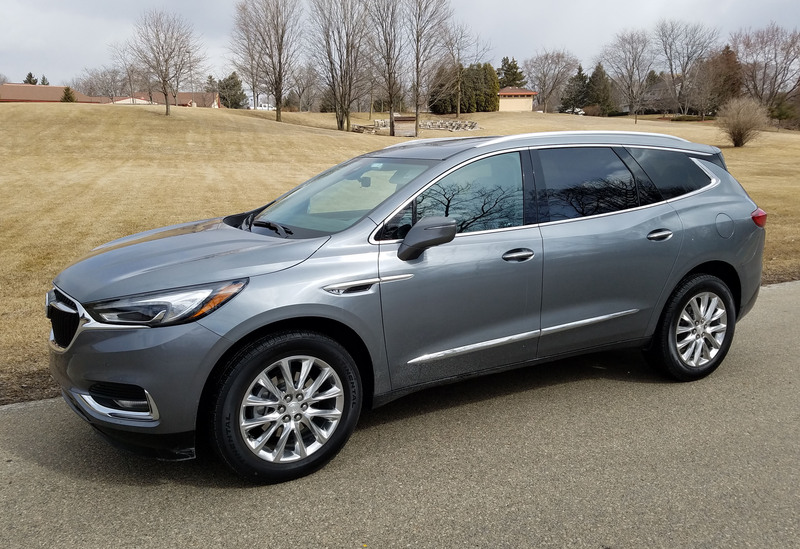 The Buick has mildly contoured seats that are easy to get in and out of, an increasingly important feature to us Boomers whose hips and backs are not as young as we may feel they are. These were fully powered seats with a power lumbar support too, so finding a comfy driving position with good back support was easy and aided by the power wheel adjustments too. The driver’s seat has two memory settings too. Overhead are two large sunroofs (Buick calls them moonroofs), the front one powered, the back roof fixed in position. 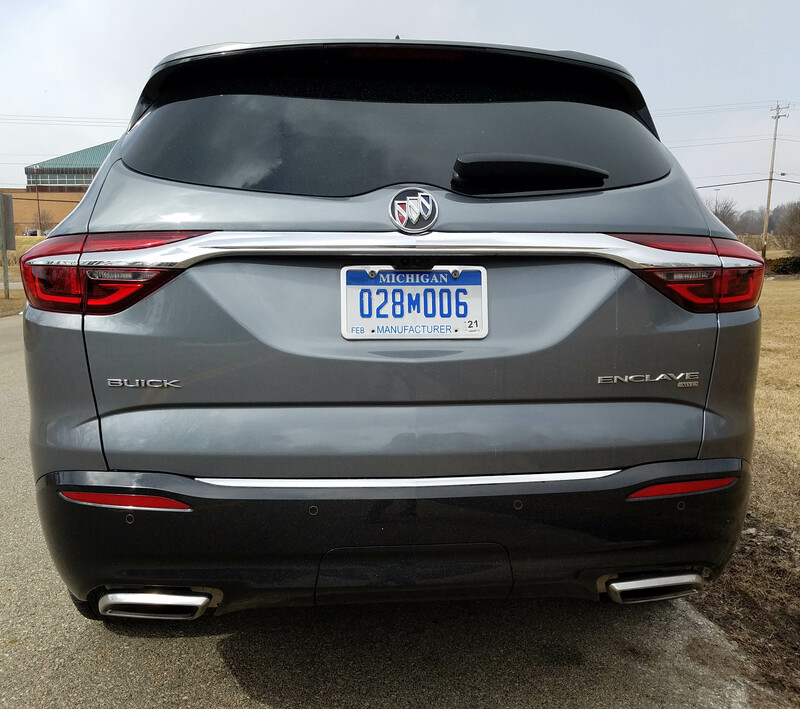 In addition, the rear hatch is powered and beams a Buick logo on the pavement beneath the vehicle so you know where to wave your foot to activate the hatch at night. This is known as a hands-free hatch. Sun visors overhead also slide and there’s a universal remote and OnStar included. Safety doodads? Sure, they’re all here, from blind-spot warning to lane departure control, plus backup camera, including a 360-degree view that most riders still find amazing. “How do they do that?” folks ask. There’s smart headlight controls that turn on and off the high beams as sensors tell the system that they are needed, plus forward collision alert to help avoid rear-end collisions. Add to that slow-speed automatic braking to avoid fender benders and parking sensors front and rear. There’s really no excuse for a scraped lower nose piece or back bumper bruise now. Anything I’d change? Just two. The rearview mirror is on the smallish side. Not sure why as most vehicles have larger ones than the Enclave. Second, both sunroof covers are spring-loaded so you can’t leave them partly open. I’d go with fully manual shades that you can adjust to your own needs. Gas mileage is about what you’d expect in such a big crossover and on par with its competition. I got 19.8 miles per gallon while the EPA rates this at 17 mpg city and 25 mpg highway. I think those are close to what you’d get if the Enclave wasn’t heavily loaded. We had up to six people aboard at times. 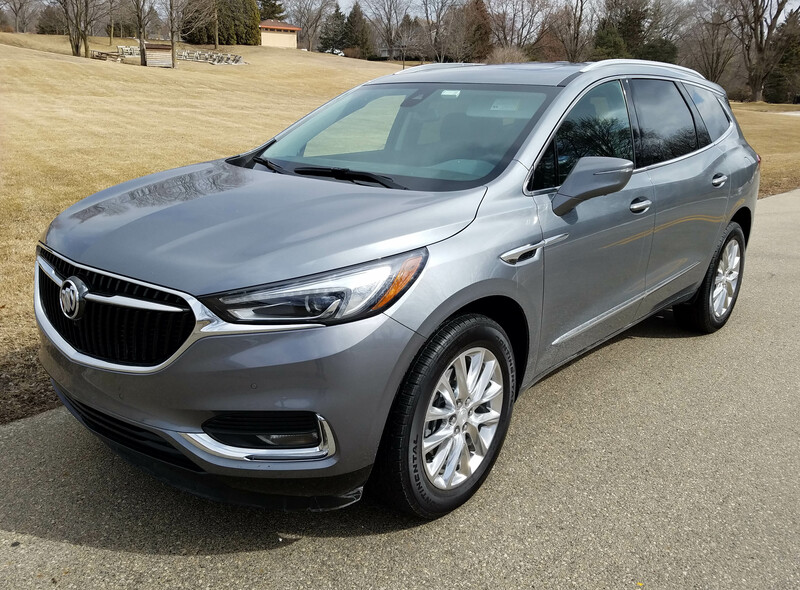 We’ve already discussed test vehicle pricing, but you can get into the base FWD model for $40,990 and it has plenty of standard equipment, such as the hands-free power hatch, universal remote, tri-zone climate control, 6 USB ports, OnStar, rearview camera and parking assist. An Essence FWD model starts at $45,210 and $45,210 for the AWD version. Moving beyond the tested Premium to the Avenir puts the starting price at $56,710. 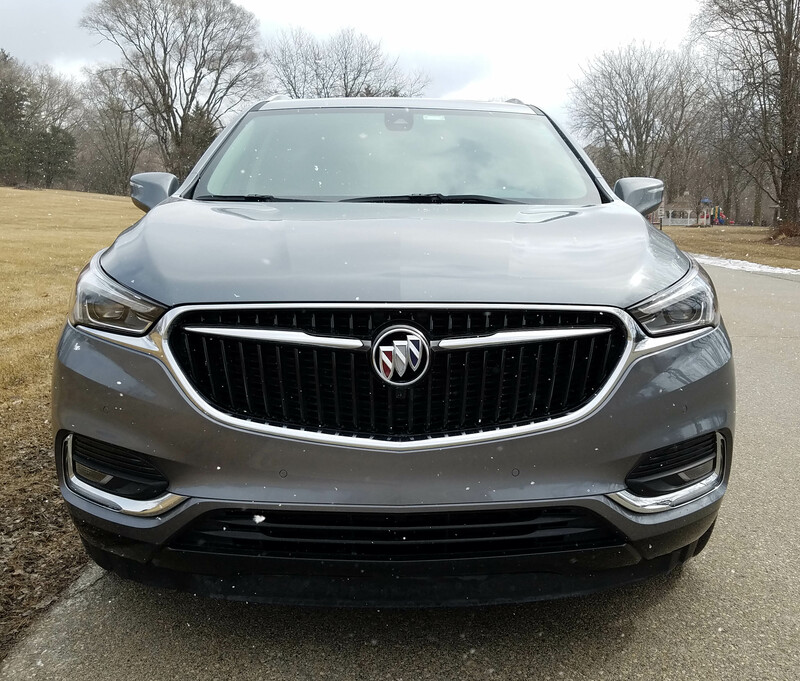 I know I’m getting to my Buick stage of life, but I can’t say strongly enough just how pleasant the Enclave is to drive and ride in. If you need seating for six or seven, put it atop your shopping list. Hits: Quiet and roomy interior, good power, excellent ride, easy handling and AWD. Heated steering wheel, front and rear seats, plus cooled front seats. Power tilt/telescope wheel, power hands-free hatch, easy dash controls, visors slide, plus full complement of safety devices. Misses: Spring-loaded sunroof covers, smallish rearview mirror.